things we have to guard against ourselves. father. Enzo is by far my best trade ever. form in the markets recently but I have not lost any significant money. antecipating some great trading days in the weeks ahead. Don`t let them beat you. And as we heard time and again on Hill Street, "be careful out there". I think we should all print this sentence and place it on our trading screens. The recency bias is the tendency for individuals to place greater emphasis on recent more data or experiences. A trade made today weights more heavily then do trades made last week or last month. Two months of losing trades can count as much or represent something like 6 months of winning trades that happened previously. Today I sold some S&P short in the beginning of the trading session when the us dollar was making new highs and crude oil was turning negative after being up all morning. The Us dollar and Crude Oil are 2 of the indicators I normally use on my S&P trading decisions. With the info I had, the shorting was a good trade. In similar circunstances I would do the same trade again. Funny you say that. When I was explaining our fund to a few people tonight I said our strategies are philosophical. We definately hada goodfdiscussion this afternoon. something around the following rules, you`ll make a lot of money." --Van K. Tharp Ph.D. I highly recommend Van. K. Tharp's book "Trade your way to the financial freedom" (or something like that) to build a trading system. The "expectancy" concept he discusses is the thing. OK, OK sounds like I read 10,000 trading books, but actually ... I did !!! Thanks for the recomendation. "Information is the most valuable commodity I know of" (Gordan Gecko, Wall Street). Art of War. Every battle is won before it is ever fought." "If you need a friend, get a dog." the world. Now it's a day's pay. " malfunctioning corporation called the USA. Thank you very much." widows and idiot sons and what I do, stock and real estate speculation. I've still got a lot to teach you." "Information is the most valuable commodity I know of" (Gordan Gecko, Wall Street). In that precise case, "information" referred to inside information, hey we put Gekko's quotes in the "philosophy2 thread!!!! prudent risk. Risking between 1 and 3% gets into the gunslinging range. trader commits financial suicide all the time without knowing it"
That's one of main Van Tharp's point : the sizing of a position is key in a trading system. Sizing answers to the question : how much can I risk in a trade ? To me the most important thing in sizing that it needs to be an anti-martingale : the more you have winning deals the more you increase the size of your positions (while some guys argue the very opposite, that's the famous "I double until I make my gain" which I consider I sure way to ruin). Once again, I strongly advise Van Tharp's "trade your way to the financial freedom" where all these concepts are widely discussed. are must reading for a great market timer’s take on current markets. earnings. Finally for the long side, in the food industry Long & Short features Diamond Foods (DMND). trends that bode well for it whether in recessions or expansions. The two short recommendations of Long & Short Stock Advisory this issue are Garmin (GRMN) and Marriott Intl (MAR). those smarter and more knowledgeable.Full Disclosure: Long CSM, ASA, SLW, & DMND. Short MAR. and I will probably never have the chance to place money with Paulson. 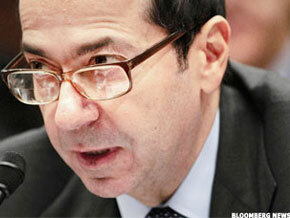 just maybe, you'll find the next John Paulson. Good read...I'd like to learn more about different types of strategies/philosophies that fund managers employ. If anyone has any good literature please pass it on. Good interview, quick read. right and the figures from China are wrong"
and then going long once real signs of recovery emerge. HW: What is the background to your company and fund? base currency in US dollars and a minimum subscription of USD100,000. Subscriptions are monthly and redemption notice is 30 days. energy and Comex and London bullion. have returned an average of 40 per cent per annum since 1987.
futures, spreads and options of LME metals. HW: Who are your key service providers? HW: Have there been any recent changes to the management team? and help US investors gain exposure to our Ebullio Commodity Fund. as well as mining and metals companies. HW: What is your investment process? HW: How do you generate ideas for your funds? HW: What is your approach to managing risk? HW: How has your recent performance compared with your expectations and track record? since launch to 118.32 per cent. HW: What opportunities are you looking at? unchanged or even allegedly growing. these sorts of scenario normally end in tears. HW: What events do you expect to see in your sector in the year ahead? next six months, we will collapse again. start completely destroying their own currencies. industry and the world price actually collapsed. HW: How will these developments affect your own portfolio? riding high in April/Shot down in May..."
naturally comes to mind as Greece's financial problems menace the global market's stability. Though never mentioned by name, Epictetus' stay-calm-and-carry-on sensibilities animate much of the trading, and a lot of institutional-investor sentiment, in the U.S. options and stock market. "When the market is macro-driven, all you can really do is just slowly buy the market and hope it's up two years from now," one very candid strategist said. The main theme, and it isn't a very grand one, among many institutional investors is finding ways to approach U.S. stocks that have strong fundamentals, but whose prices still could be crushed if the European Union fails to clean its PIIGS' sty. Portugal, Ireland, Italy, Greece and Spain borrowed too much money, and may need to be rescued by more fiscally conservative EU members. The answer, at least to investors who use options, is a nascent type of financial isolationism. The isolationists focus on better-than-expected first-quarter earnings for many U.S. companies, and use options that typically expire in one month to hedge away the risk presented by foreign economies. This is by no means a foolproof measure, but it is the market stance mentioned by countless senior traders and strategists who preside over institutional options trading. The one fact that inevitably arises in every situation is the financial health of U.S. corporations. As of Feb. 25, Thomson Reuters said 470 companies in the Standard & Poor's 500 Index bested first-quarter earnings expectations, 10% matched estimates, and 17% missed the mark. Overall, earnings have thus far beaten expectations by almost 12%. The use of options that expire so quickly underscores the difficulties investors confront as they try to hedge U.S. stock portfolios from the impact of far-away events that most investors aren't even able to track. This creates hedging problems. Dennis Davitt, head of U.S. equity-derivatives trading for Macquarie, addresses this conundrum by focusing on stocks that have high dividends, like Altria (ticker: MO), AT&T (T) and Verizon (VZ), and whose options are inexpensive due to their implied volatility levels. Altria pays a 35-cent quarterly dividend, for example, that can be used to offset the $1.96 cost of a January $20 put. Davitt also likes using dividends to help pay for AT&T's October $24 put, and Verizon's October $28 puts. "These stocks present a opportunity to play for free or with the house's money," Davitt says. Such an approach, which uses one's native intelligence to deal more wisely with the challenges of the world, is just the type of solution that would surely please Epictetus.